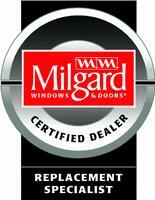 1) In our 15 years in the Portland window replacement industry, we have found Milgard to be the best in the business. We share very similar philosophies of excellence, customer satisfaction, and the importance of providing a lifetime guarantee. 2 ) By consolidating the majority of our business with a single manufacturer, we are able to take advantage of volume pricing. 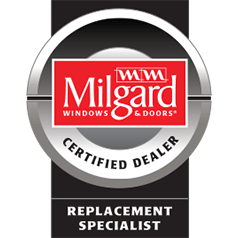 This allows us to provide our customers with very reasonable pricing without sacrificing quality. Tuscany: Is excellent for wood replacement applications. It is ENERGY STAR rated and comes with a smart touch locking system, vent stops, and a lifetime glass breakage warranty! It has a wide variety of grid options including simulated divided light (SDL) which matches the old individual pane wood windows seen on many of the older homes in the Portland area. 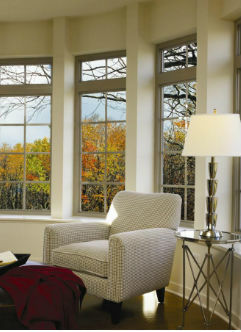 Style Line: Has a narrow frame profile that makes it excellent for aluminum replacement applications and is a very affordable, energy efficient window. 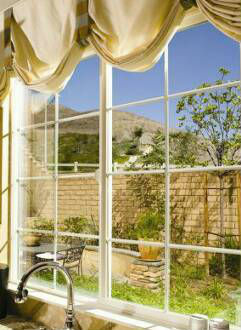 Many customers choose Style Line because its narrow profile frame allows for more visible light. Woodclad: All the same benefits as the Ultra fiberglass product with the addition of a vertical grain fir veneer on the inside allowing you to maintain the richness of wood on the inside of your home while continuing to benefit from the low maintenance fiberglass exterior. 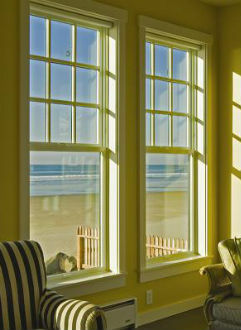 Ultra: Is a fiberglass product that has energy saving characteristics that surpass aluminum and wood. 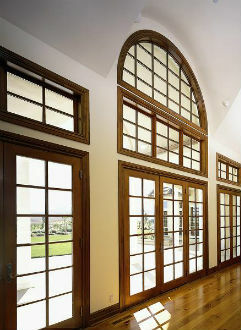 It is low maintenance and has all the options of a wood window. It will not crack, peel, warp, or stick due to weathering. It comes standard in 5 optional exterior colors, and can be painted any color after installation.